Punk fans pay more attention on their hairstyles; they cut the hair in odd ways and paint them in different colors to show their unique characters. 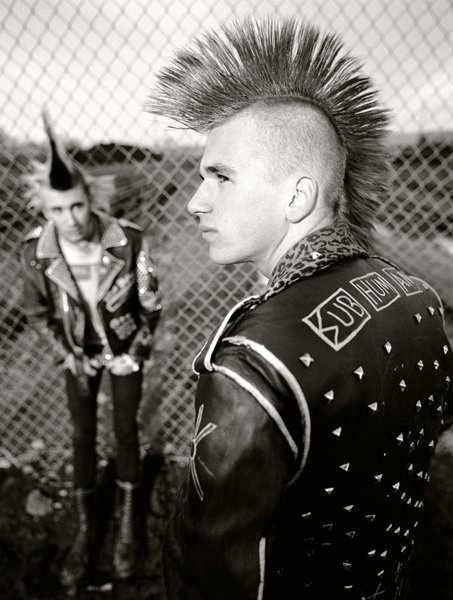 Beside hairstyles, punk fans also using various tattooing and wearing metal to prove that they are alternative groups. It will cost me many words and time to explain every punk factor, the hairstyle, tattoo, and the metal; here I will focus on the metal they wear. 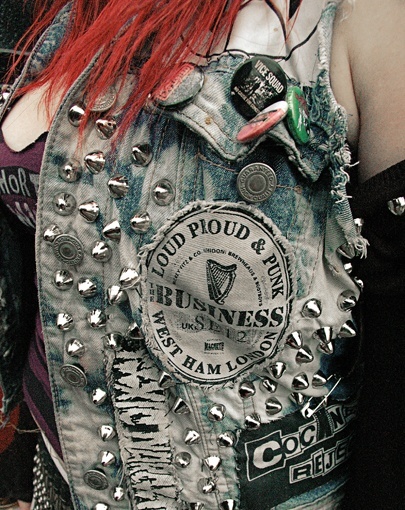 Punk fans wear metal at anywhere they want, on the caps, coats, belts, trousers, and shoes; you can see metal detail here and there. In the past few years, people like to wear metal chain to show their different. 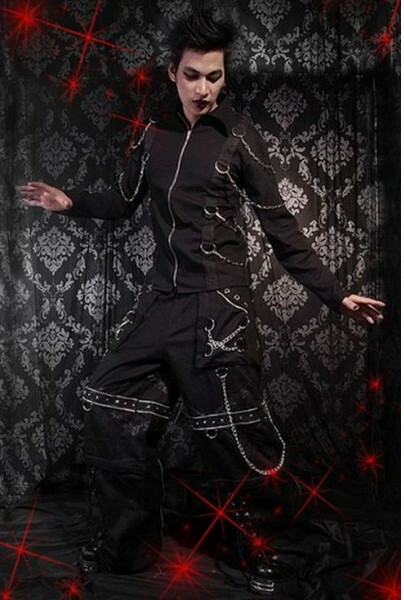 The coats and trousers with metal chains are very popular and well received by customers who have a little punk feeling. As they thought dresses with metal chains are very cool and special. 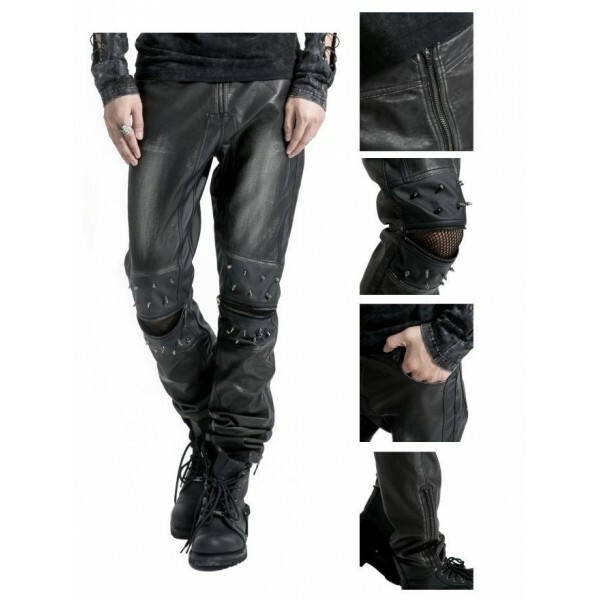 While, recently years, the most hottest dressing up are the clothes with rivet, coats and shoes with rivets attract more and more people to crazy for them, from the punk fans and the fashion leading celebrities they wearing rivet to prove that they are the fashion leaders and creators. The rivet heat is keeping hot; you can try some to make you special.